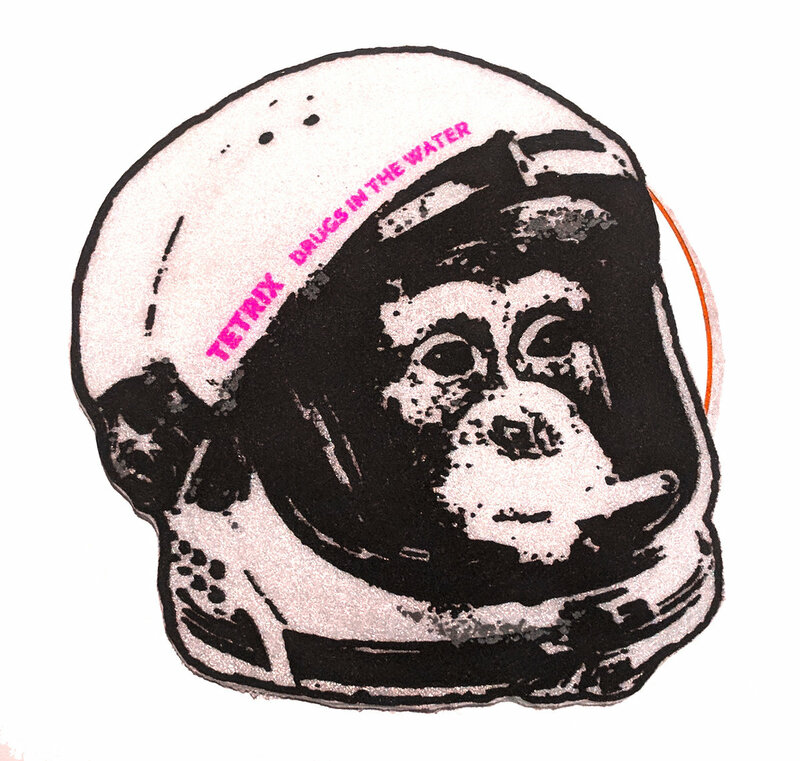 New full-length release from Calgary’s finest avant-popsters Tetrix is called Drugs In The Water and arrives packaged in a shaped felt cover printed with a monkey astronaut head…following on from previous release, Cassette Romance, the band continue with their accordion playing, now used in the service of 10 songs which pastiche modern pop music forms, blending it with their own strange take on country-and-western styled balladry. To put it another way, these are all songs of modern alienation and contemporary problems (a lot of the lyrics refer to drink and drug addiction and wallow in the futility of life), but performed in a quasi-sentimental style like a tipsy house band who are trying to forget their past as a New Wave group, and are quickly trying to reinvent themselves in a way to appease the mob of Johnny Winter fans in the audience who are about to start throwing beer bottles. An odd listen for sure, but monotonous; it lacks the variety of previous Tetrix excursions where half the fun was hearing them attempt every music style from sunshine pop to psychedelia and rap. The limitations of the lead singer on Drugs In The Water also become apparent after a while, as he lurches from one self-pitying lament to the next, declining to vary the tone of his throaty rasp, and appearing on the verge of tears at every moment. Still, there is an emotional core of truth somewhere in here, and the melodies aren’t half bad. From 22nd August 2018.